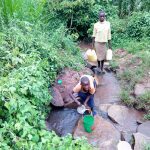 There are 560 people living in this part of Imbinga Community who have to use dirty water on a daily basis. 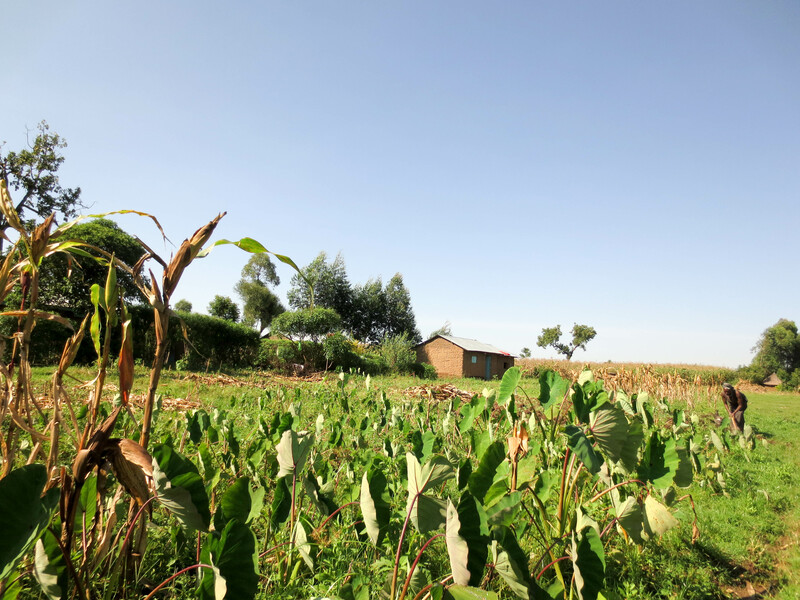 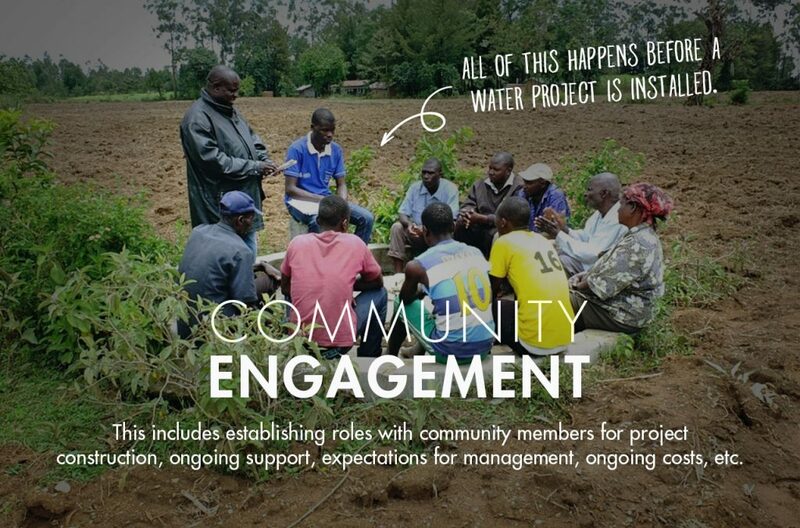 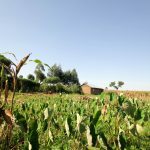 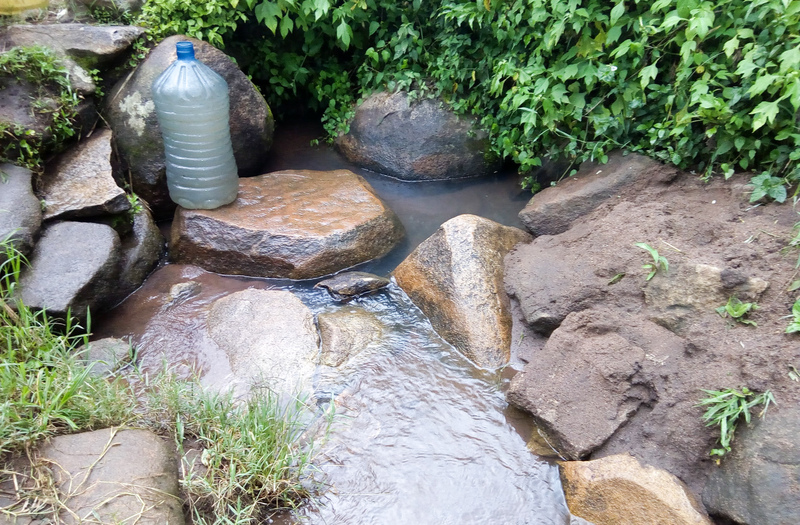 Their main water source is Arunga Spring – an open, unprotected water source. 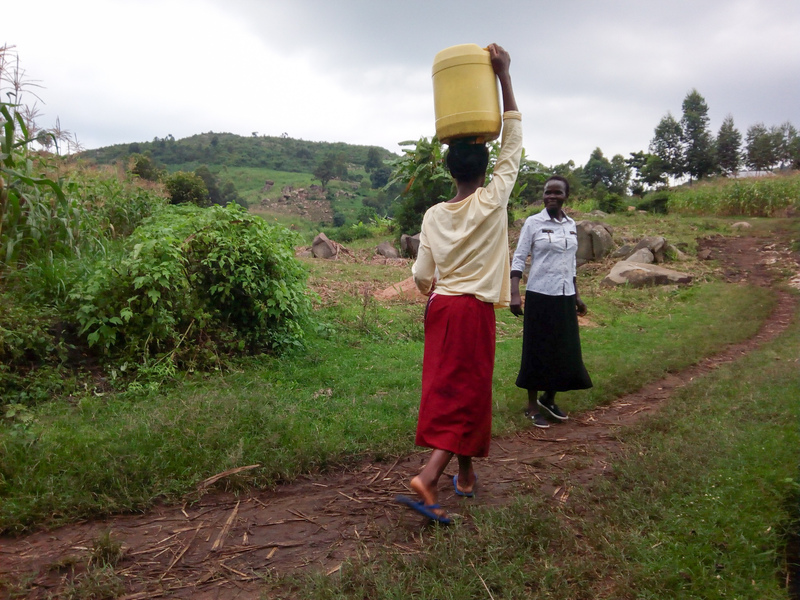 Community members bring a small cup along with their large containers because the drawing point is so small. 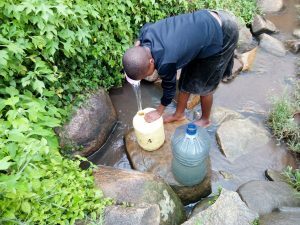 Water is continuously bailed with the cup until the larger jerrycan is full. There is a dispenser that is supposed to be full of chlorine, but there was none there during our visit. 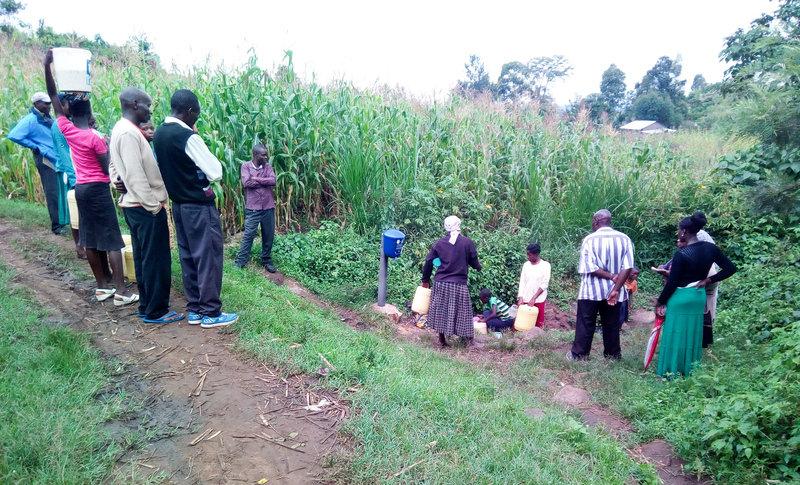 Community members now use this dispenser to help raise their containers up onto their heads for the walk home. 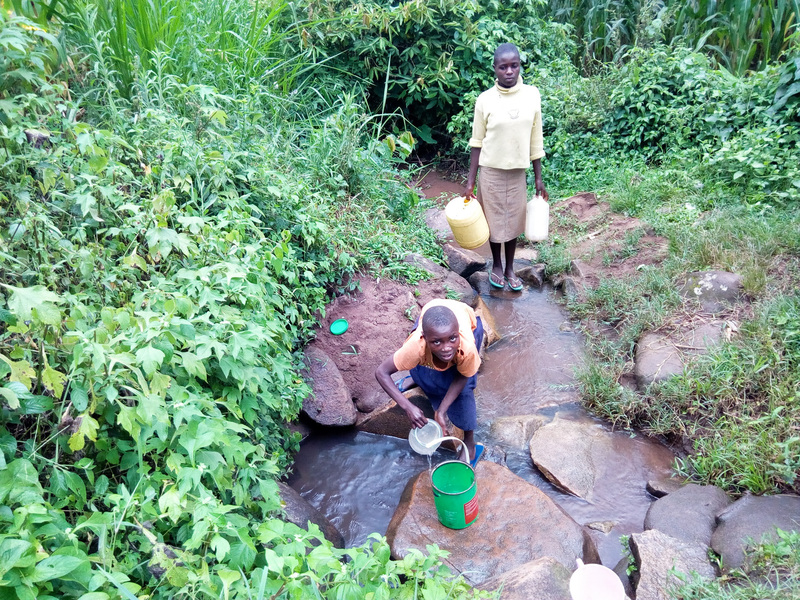 “I have to be at the spring before everyone so that I can draw drinking water since I cannot afford firewood to boil it,” said Mrs. Caro Ambetsa. 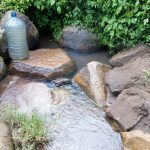 That’s because the more people fetching water, the more the mud at the bottom of the spring rises up and contaminates the water. 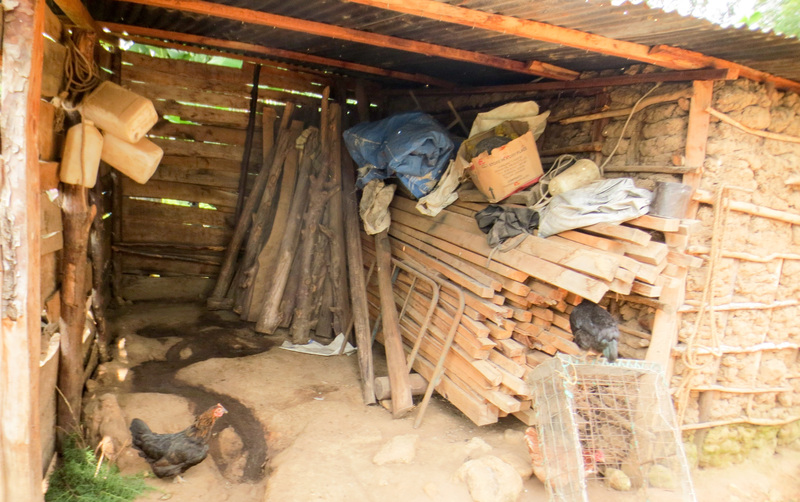 Caro and her neighbors suffer from typhoid, cholera, and other waterborne illnesses. 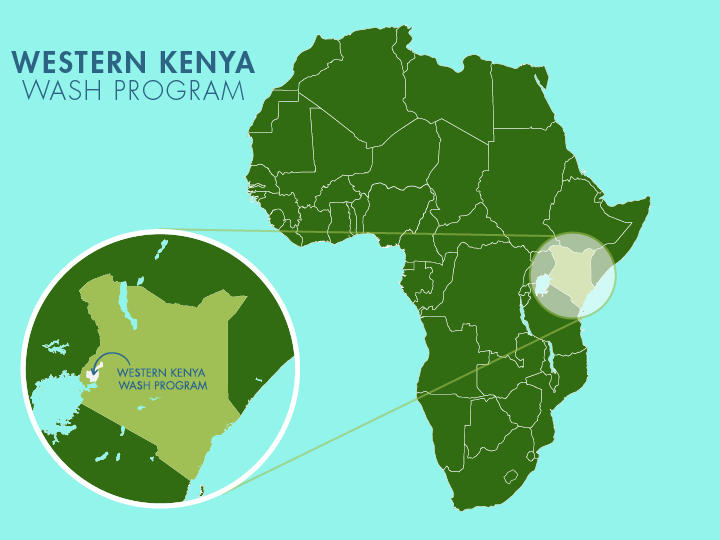 The most common complication is bilharzia (schistosomes), a neglected tropical disease caused by parasitic worms. 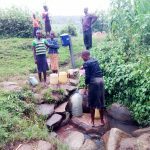 The water users report that they can suffer from bilharzia just from stepping in Arunga Spring to fill their containers. 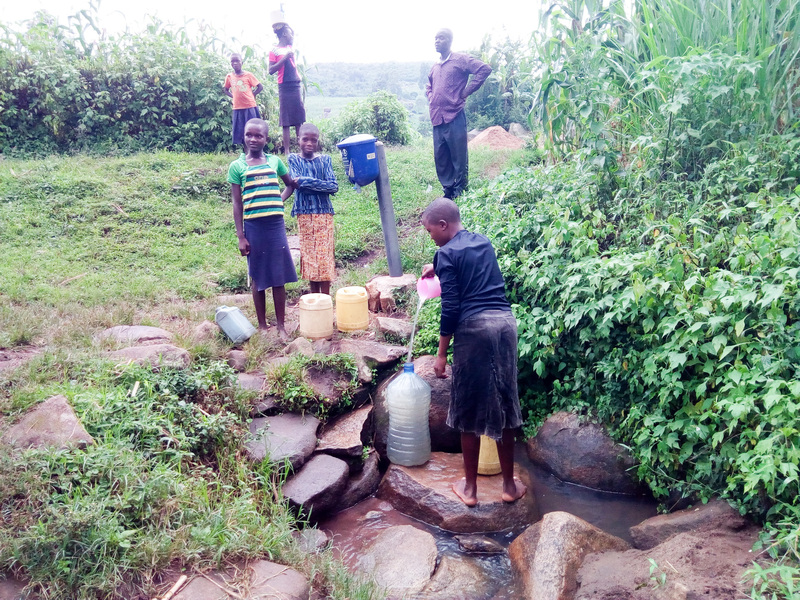 The community here is in dire need of safe and clean drinking water. 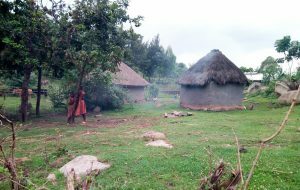 They were eagerly awaiting our first visit. 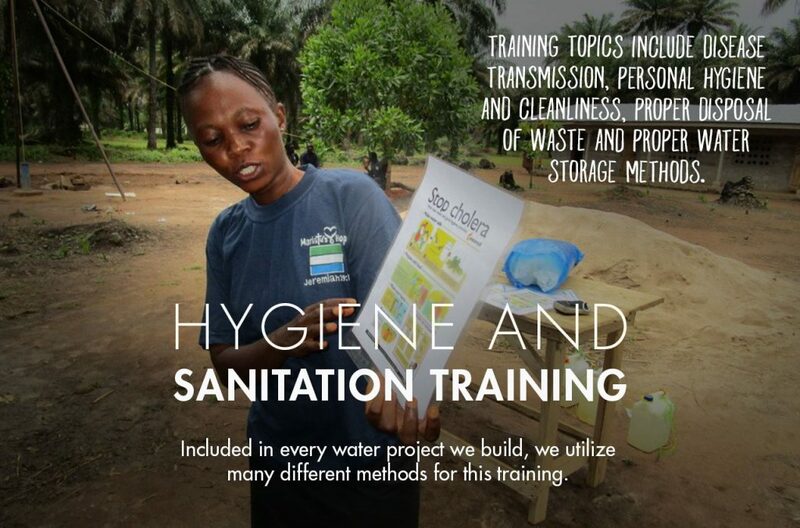 Many children die prematurely because of waterborne diseases. 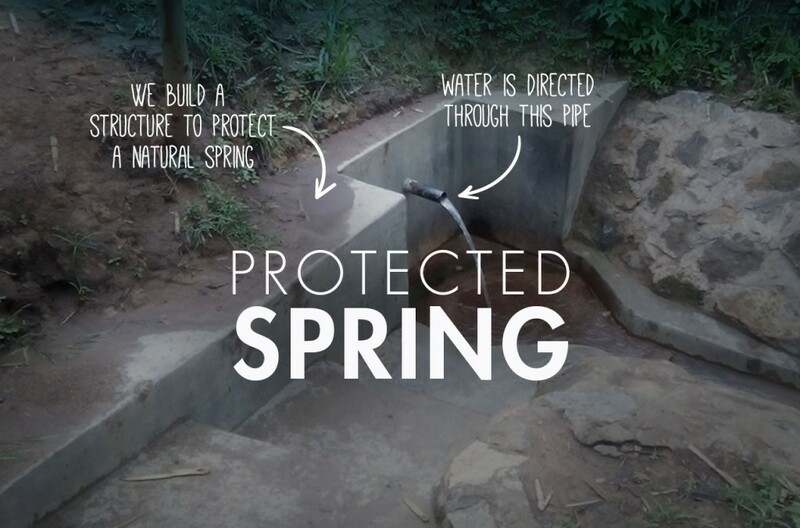 Protecting the spring will allow the children to grow up healthy. 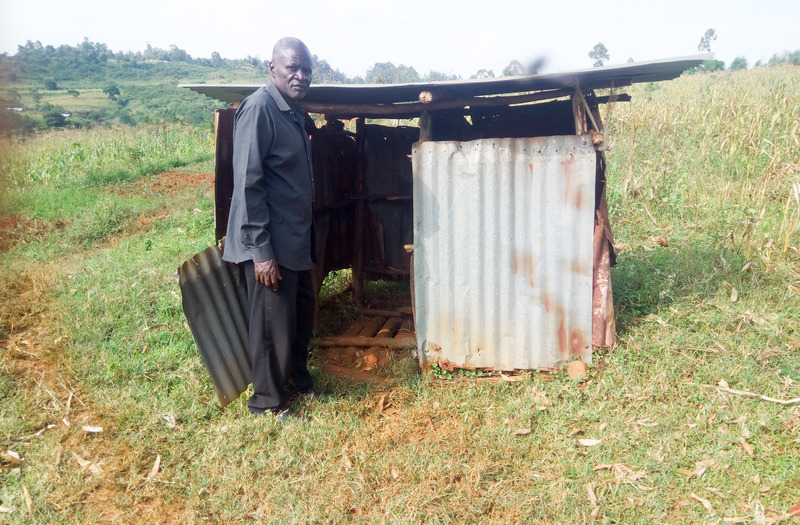 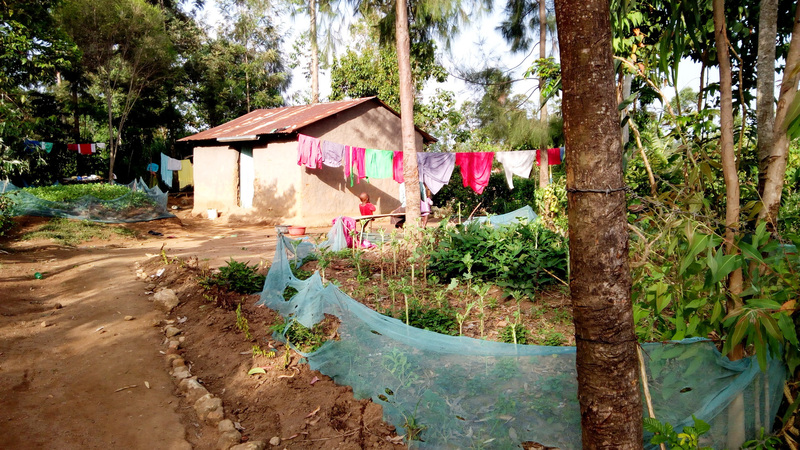 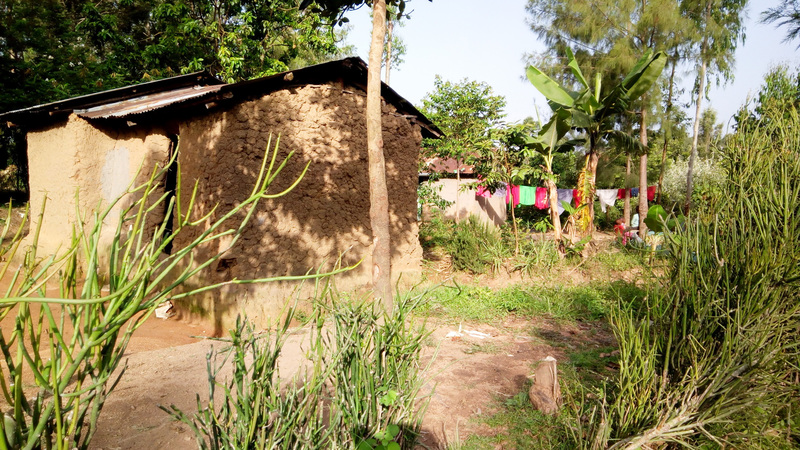 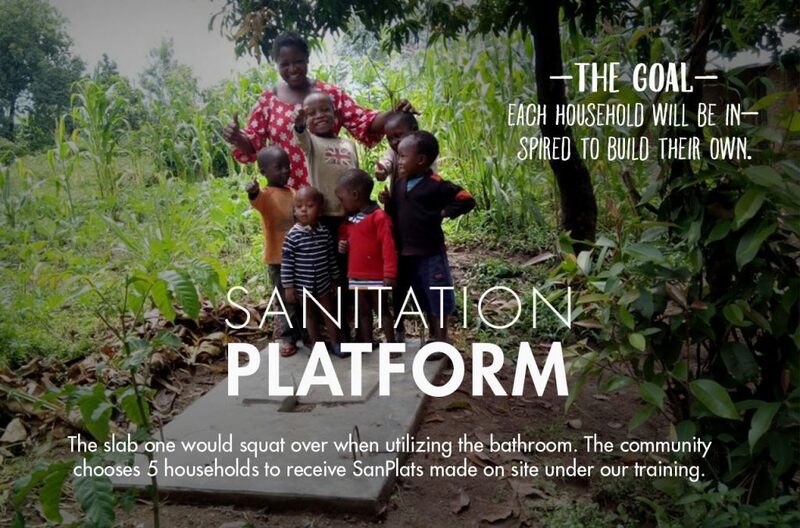 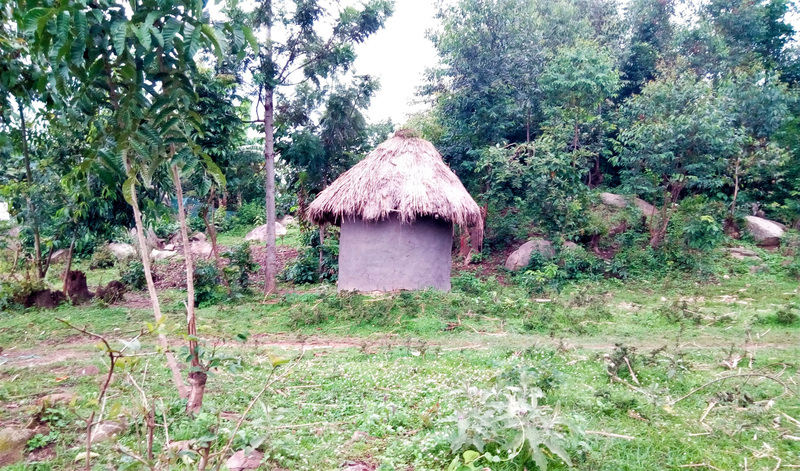 Only a third of the community members using Arunga Spring have a good place to use the bathroom. 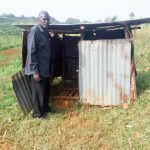 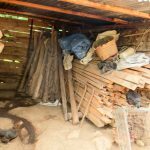 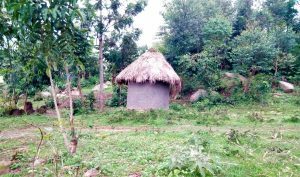 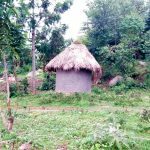 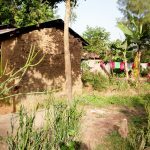 The families that do not have a pit latrine use the privacy of bushes. 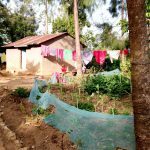 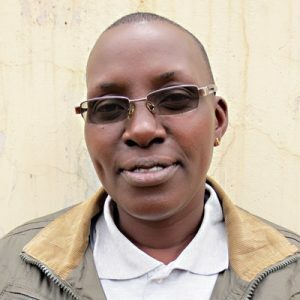 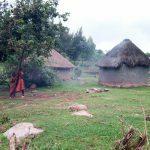 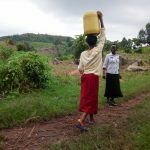 “Most of us go to the bush especially at night since we do not have latrines,” Anne Murenga admitted. 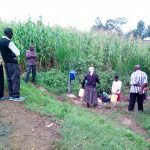 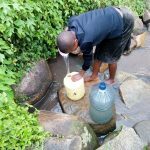 Dirty water from Arunga Spring is making people in Imbinga Community sick. 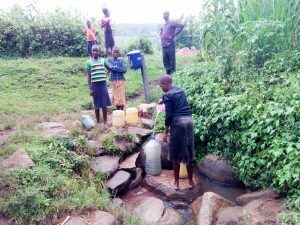 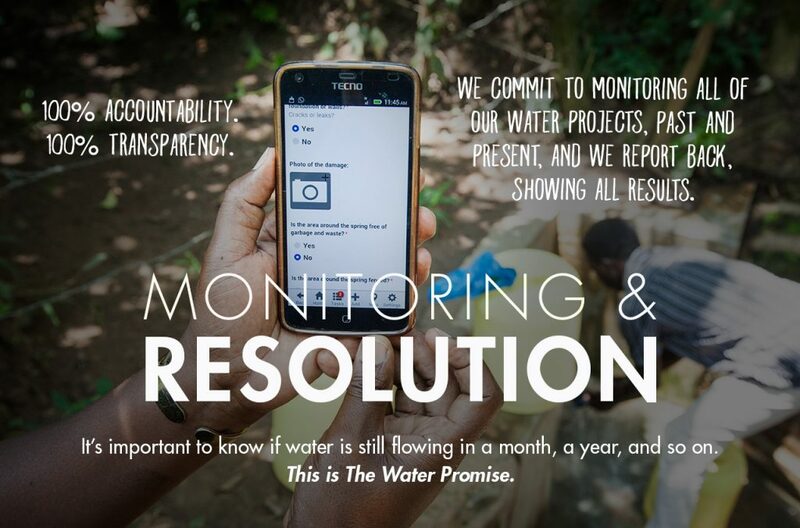 Thanks to your generosity, we’re working to solve this issue by building a clean water point and much more.